BELLEVILLE – The Eastern Ontario Leadership Council will receive $135,000 from the provincial government for economic development. 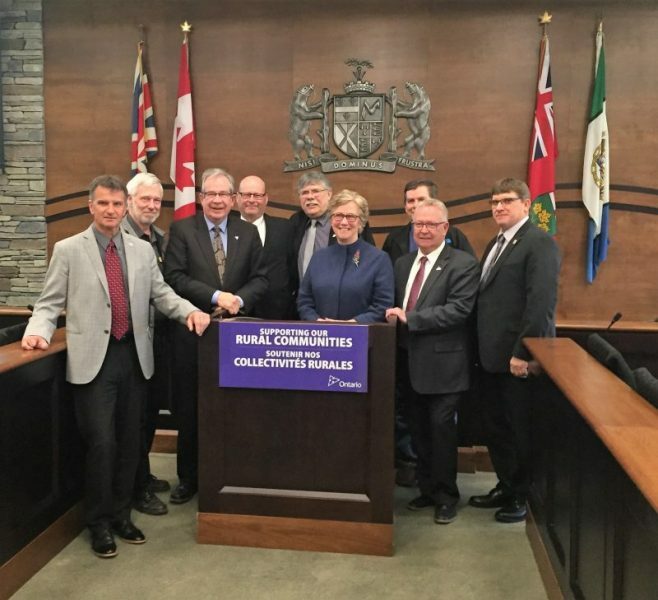 At a meeting in the Hastings County council chamber in Belleville Monday, Ontario Rural Affairs Minister Jeff Leal announced that the Ministry of Economic Development and Growth would grant the council the funding to help refresh and implement the Eastern Ontario Economic Development Strategy. “We thank the province and Minister Leal for recognizing the EOLC’s work and providing funds to move forward in such a positive manner,” said council co-chair Leslie O’Shaughnessy, the mayor of Cornwall. The council launched a 10-year economic-development strategy in February 2014, buy says it’s in need of an update to address new economic concerns within the region. The strategy focuses on three areas: workforce development and deployment; technology integration and innovation; and integrated, intelligent transportation systems. The province says that in addition to the funding, it will provide support needed for specific projects. The EOLC is a partnership between five groups in Eastern Ontario: the Eastern Ontario Wardens’ Caucus, the Eastern Ontario Mayors’ Caucus, the Eastern Ontario Regional Network, the Ontario East Economic Development Commission and Community Futures Ontario East.